As the father of teenagers, I understand why many American Jewish parents feel anxiety about their children’s commitment to Judaism. Nurturing this commitment is not easy. All of us have Jewish family and friends whose children feel no meaningful connection to Judaism. Engaging the next generation of Jews is difficult in America. 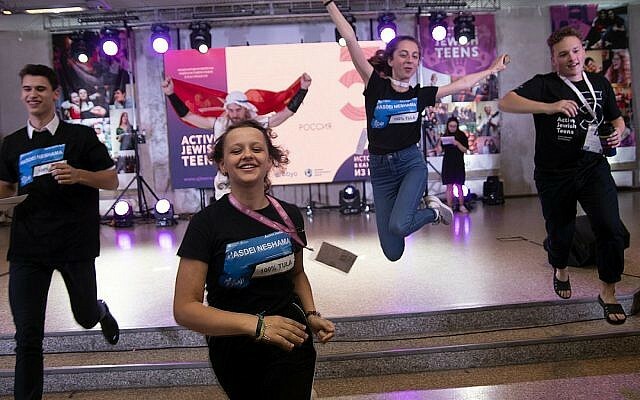 But it is harder in the former Soviet Union (FSU), where there is good news to report: thousands of FSU teens are reconnecting with Judaism. If this can happen in Kiev, St. Petersburg, and Minsk, why not in Kansas City, San Francisco, and Miami? The revival of Jewish life in Ukraine, Russia, and other post-Soviet states is remarkable because, in a sense, it was so improbable. Jewish communities there suffered two devastating blows: the Holocaust and decades of communist rule. Millions were murdered. Jewish communal institutions were wiped out. Jews were discouraged from openly practicing their religion. Many hid their Jewish identities, even from their children. 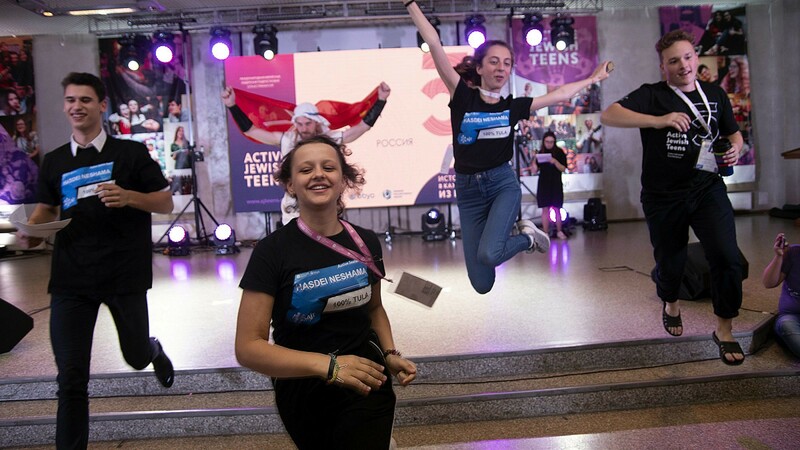 So thousands of Jewish teens in the FSU are joining a regional network called Active Jewish Teens or AJT, which was launched by my organization, the American Jewish Joint Distribution Committee (JDC). Five years ago, AJT began with thirty young Jews in one Ukrainian city, Kharkov. Today, AJT is one hundred times larger, with 3,100 members in 57 cities across the FSU. Thousands of teens are united by their Jewish identity, passion for service, and desire to connect with one another. They run educational initiatives, cultural programs, and service days. For example, an AJT chapter in Belarus updated me recently about a problem they helped to solve. Their town’s shipment of matzah had arrived only a few hours before Passover, so my JDC colleagues had only two hours to deliver matzah to 300 home-bound elderly clients. They asked AJT for help. On short notice, thirty teens on bicycles each delivered ten boxes. Imagine how it felt for elderly Jews – a generation that witnessed the devastation of Jewish life in the FSU – to receive matzah from young Jewish volunteers. What better evidence could there be that the spark of Jewish life, once so close to burning out, was flaring again in Belarus? These miracles are happening across the FSU. AJT teens are helping to shape Jewish communities that are pluralistic, inclusive, and innovative. Every day, these young people serve as Jewish role models for peers, families, and the communities they call home. At the same time, thousands of Jews of many ages are joining volunteer networks that my organization launched in 2014. Starting as a small, grassroots effort in Moldova, these networks now have 4,500 Jewish volunteers across the FSU. They aid vulnerable Jews, especially children and the elderly, and also partner with other organizations to help non-Jews as well. The FSU remains a region filled with socio-economic challenges, including poverty and a scant social service infrastructure. Burgeoning Jewish communities there are discovering, more and more, that Jewish identity includes a sense of responsibility to fellow Jews. These volunteers do not see Jewish elderly living on as little as $2 a day as “the other,” but as brothers and sisters in pain. Volunteers also pass on Jewish knowledge to other Jews, who want to learn and to put Jewish values into action. In 2017 alone, our volunteer networks aided more than 40,000 people. In cities across the FSU, they arranged hundreds of volunteer activities, including home visits to isolated seniors, Shabbaton weekends of Jewish learning and service, community-wide holiday celebrations, and Good Deed Days. These twin phenomena – an engaged cohort of young Jewish teens, as well as a growing network of Jewish volunteers – are laying the groundwork for a more vibrant Jewish future in the FSU. This progress reflects the commitment of thousands of individual Jews across the region. In addition, the global Jewish community also supplied urgently needed expertise and resources. For example, the leader who launched AJT, Alla Magas, participated in a JDC leadership training program. When she decided to launch a youth program in Ukraine, JDC hired her to launch this project, which would become AJT. AJT also has forged a close affiliation with BBYO, the pluralistic teen movement which began in America and has become global in scope. Genesis Philanthropy Group (GPG), a global foundation focused on Russian-speaking Jewry, has also made a generous investment in AJT, as well as in JDC’s volunteer networks, joining a number of other passionate partners who support this work. Just as these FSU initiatives derive important benefits from the global Jewish community, the opposite is also true: these initiatives offer unique value to Jews worldwide. For example, AJT teens participate in BBYO’s International Convention. American teens admire the efforts of FSU teens to rebuild Jewish life on a terrain that was hostile and barren not long ago. These encounters motivate Americans to overcome their own challenges. In other words, when we bring FSU and American teens together, each group inspires the other. We all know that it is not an easy time for the Jewish people. But our history proves how resilient we are. We can learn an important lesson from Jews in the FSU, and especially from the experience of more than 400 teens who gathered last weekend at AJT’s annual conference: When we come together to pursue our goals with compassion and commitment, nothing is impossible. 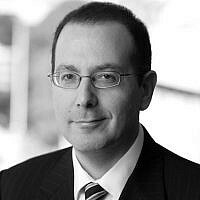 David Schizer is the CEO of the American Jewish Joint Distribution Committee (JDC).